I’m sure you would agree there are tonnes of different styles, shapes and colours for candy carts available to hire in today’s life. And what do you tend to get on a candy cart, well either nothing, so you have to go through the whole faff of purchasing the sweets and setting the cart up yourself; but let’s face it when you’re in charge of organising everything for your event and making sure it all comes together in the end, who wants to pack their own sweet cart as well. Or you get sweets provided, but they are standard (nice of course, I can’t argue about that) but just alike every other sweet cart on the market. So what added value do they bring to you – simply a price war competition! If you are looking for something standard and cheap, then unfortunately and very simply we aren’t the right company for you. We don't want you to simply pay a small price and be left to it yourself. We want to help you create a magical experience at your next party/ event hassle free, something to completely WOW your guests, something very different to speak about and thoroughly enjoy! 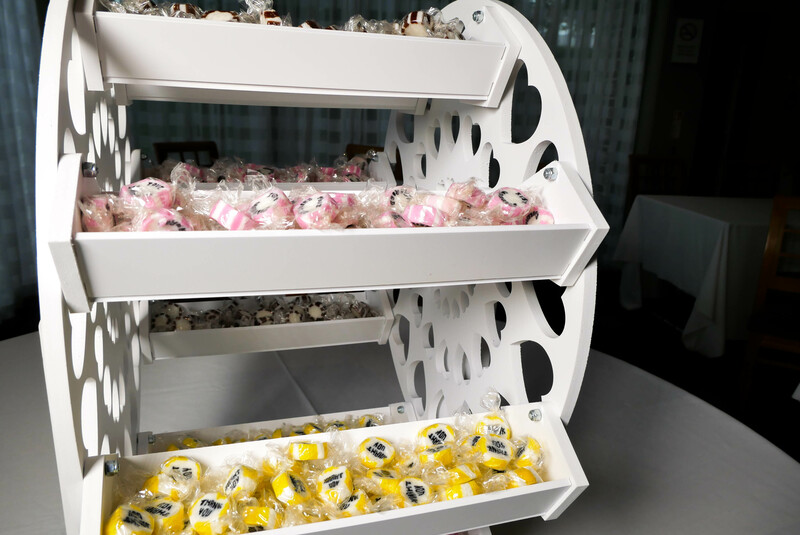 Alco-Pop’s candy cart is 100% bespoke build and of a very high quality, perfect for any occasion. 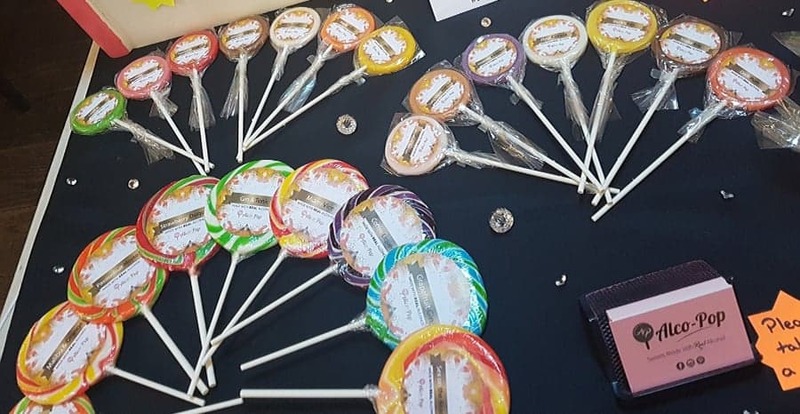 Supplied alongside our modern products with a twist, where all our sweets are made with real alcohol (with the exception of some lollipops made for the children). What’s not to like!? 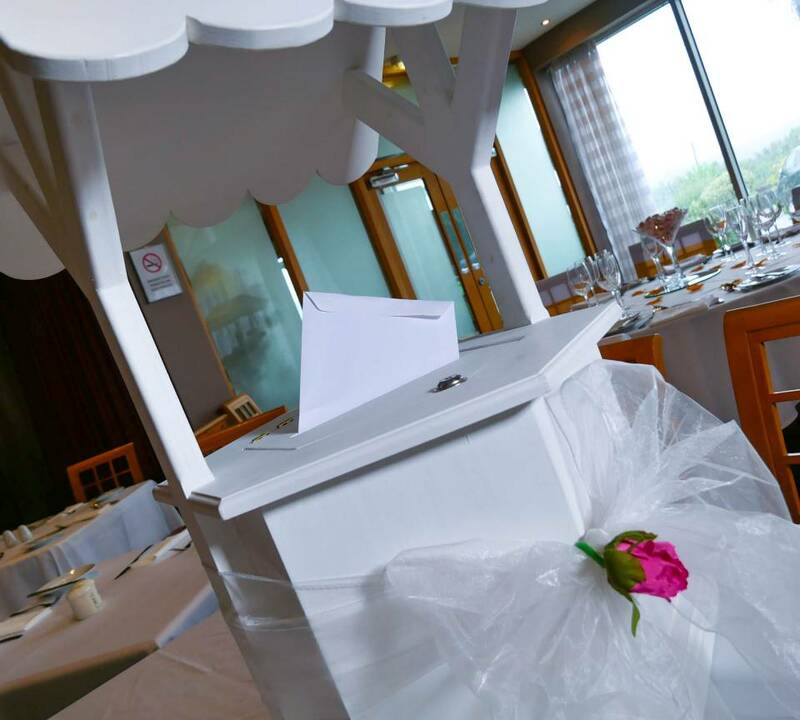 We have created 3 amazing packages for you to hire our candy cart from today. We will deliver the candy cart within 20 miles (from DH2 1TJ) free of charge. We will set the candy cart up for you. There will be 5kg of individually wrapped sweets provided (approximately 1000 sweets). We will collect the candy cart and you get to keep all the remaining sweets. We again will deliver the candy cart within 20 miles (from DH2 1TJ) free of charge. PLUS: Mix of 50 small lollies! There are also 50 small lollies. 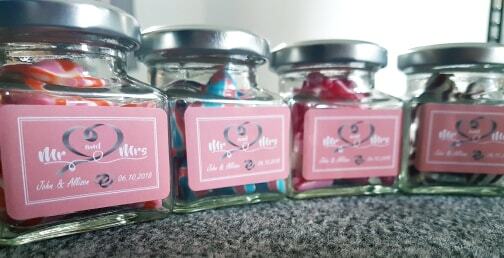 PLUS: 50 jars of humbugs with personalised labels (any additional are only £2 each, R.R.P £4.95)! If other sweets are wanted on the candy cart, I can provide spare tubs for them to go into free of charge, but I won't provide the sweets themselves. I hope this gives you a better idea of what we can supply. 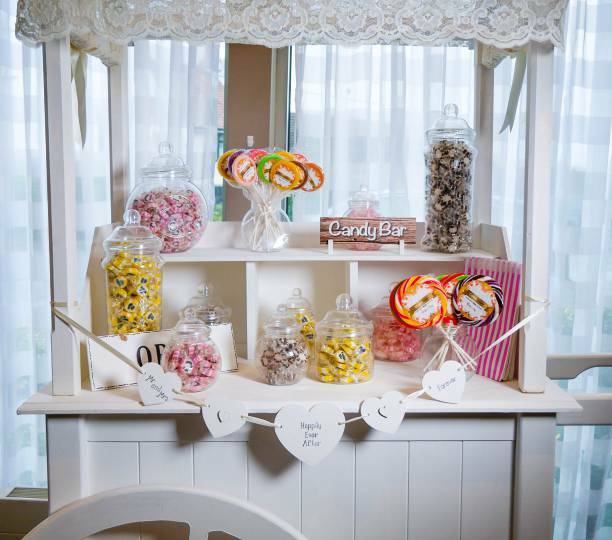 If you would like to book our Candy Cart please email samantha@alco-pop.co.uk with your requirements, or any further questions you may have. We hope you enjoy the next party you attend!